Dennis Brannon was born on May 10, 1949, at Fort Benning, Georgia. His father was a career Army officer. Following his father's retirement from the Army, Dennis moved with his family to DeFuniak Springs, Florida. He graduated from Walton County High School in 1967 with honors. He attended Chipola Jr. College in Marianna, Florida, and graduated with honors in 1969. Dennis then attended Florida State University and graduated with honors, Phi Beta Kappa, in 1971. During his time at Florida State he was Commander of the Army ROTC unit and graduated as a Distinguished Military Graduate, the No. 1 graduate in the Army ROTC graduating class for 1971. Following his graduation from Florida State, he was awarded a full graduate school fellowship and from 1971-1972 attended the Universities of Alabama, Kentucky and Tennessee, which universities participated in and sponsored the fellowship program. In 1972 he received his Masters Degree in Public Administration from the University of Tennessee. Immediately upon completing his fellowship he entered active duty as a Second Lieutenant and graduated both from Infantry Officer Basic Training at Fort Benning and then from the Army Security Agency Military Intelligence School at Fort Devens, Massachusetts. Following graduation from the ASA school at Fort Devens he was assigned to the 303 Army Security Agency Battalion at Fort Hood, Texas, in support of the First Cavalry and Second Armored Divisions. During his assignment at Fort Hood he served a period of time as the Battalion S-2, with responsibilities for armed security and intelligence operations of the Battalion. In 1974 Mr. Brannon completed his reserve officer active duty commitment and then worked for one year with the State of Alabama before attending the Florida State University School of Law. During his time at law school, Dennis served as the school's representative for the University Student Council. 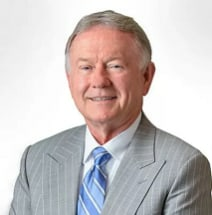 Following graduation from law school, Dennis returned to Northwest Florida in 1979 to work with the law firm of Timmel and Denny, a law firm specializing in insurance defense work. In 1980 he moved to the law firm of Dewrell, Blue and Brannon where he was lead counsel and responsible for the personal injury litigation division of that firm. In 1990 Dennis left that firm to establish the firm of Wm. Dennis Brannon, PA, continuing to limit his practice to personal injury, wrongful death and insurance litigation. He continues to restrict his practice to representing people who have been wrongfully injured. During his 30 years of practice as an attorney, Mr. Brannon has tried cases in Walton, Okaloosa, Santa Rosa and Escambia counties. He has a particular love and affinity for Walton County. He has served with distinction as the Chairman of the Florida Bar Grievance Committee for Okaloosa and Walton County. He has been honored by Mothers Against Drunk Drivers (MADD) for his work in attempting to limit the hours of sale of alcoholic beverages in Okaloosa County. He has been awarded an AV rating for many years by Martindale Hubbell, the AV rating signifying the highest ability and integrity rating that can be awarded by his peers in the practice of law. Mr. Brannon is an ordained deacon in the Baptist Church. He has taught adult Sunday School for more than 20 years. He has served on countless committees in various churches and has served as the Chairman of the Deacon Body in one such church. He has provided pro bono legal service to his church for many years and remains committed to serving the body of Christ. Dennis is married to Venita Brannon and they have been married since 1975. They reside in Destin, Florida. They have two sons, Paul and Patrick, who both have followed their father into the practice of law. They also have five grandchildren with more to come. Paul currently practices law with his father and Patrick practices law in Tampa, Florida.